Adele Laurie Blue Adkins (born 5 May 1988), better known simply as Adele, is an English singer-songwriter, musician and multi-instrumentalist. Adele was offered a recording contract from XL Recordings after a friend posted her demo on Myspace in 2006. The next year she received the Brit Awards "Critics' Choice" award and won the BBC Sound of 2008. Her debut album, 19, was released in 2008 to much commercial and critical success. It certified four times platinum in the UK, and double platinum in the US. Her career in the US was boosted by a Saturday Night Live appearance in late 2008. At the 2009 Grammy Awards, Adele received the awards for Best New Artist and Best Female Pop Vocal Performance. Adele released her second album, 21, in early 2011. The album was well received critically and surpassed the success of her debut, earning the singer six Grammy Awards in 2012 including Album of the Year, equalling the record for most Grammy Awards won by a female artist in one night. The album has also led to her receiving numerous other awards, including two Brit Awards and three American Music Awards. The album has been certified 16 times platinum in the UK; in the US the album has held the top position longer than any other album since 1985, and is certified Diamond. According to IFPI, the album has sold over 26 million copies worldwide. The success of 21 earned Adele numerous mentions in the Guinness World Records. She is the first artist to sell more than 3 million copies of an album in a year in the UK. With her two albums and the first two singles from 21, "Rolling in the Deep" and "Someone Like You", she became the first living artist to achieve the feat of having two top-five hits in both the UK Official Singles Chart and the Official Albums Chart simultaneously since the Beatles in 1964. With her third release from the album, "Set Fire to the Rain", which became her third number one single in the US, Adele became the first artist in history to lead the Billboard 200 concurrently with three Billboard Hot 100 number-ones. Adele is the first female in the history of the Billboard Hot 100 to have three singles in the top 10 at the same time as a lead artist, and the first female artist to have two albums in the top five of the Billboard 200 and two singles in the top five of the Billboard Hot 100 simultaneously.21 is the longest running number one album by a female solo artist on the UK and US Albums Chart. In 2011 and 2012, Billboard named Adele Artist of the Year. In 2012, Adele was listed at number five on VH1′s 100 Greatest Women In Music, and the American magazine Time named Adele one of the most influential people in the world. In 2013, she received an Academy Award as well as the Golden Globe Award for Best Original Song for her song "Skyfall", written for Skyfall, the twenty-third James Bond film. Early life: Adele Laurie Blue Adkins was born in Tottenham, north London, England, to Penny Adkins, an English teenager, and Mark Evans, a Welshman, on 5 May 1988. Evans walked out when Adele was two, leaving her 20-year-old mother to raise her single-handedly, for which Adele has still not forgiven him. She began singing at age four and asserts that she became obsessed with voices. Adele has cited the Spice Girls as a major influence in regard to her love and passion for music, stating that "they made me what I am today." Adele impersonated the Spice Girls at dinner parties as a young girl. To make her look like English R&B and urban contemporary singer Gabrielle, her mother made an eye patch with sequins, which Adele later said was embarrassing. At the age of nine, Adele and her mother, a furniture-maker and adult learning activities organiser, relocated to Brighton. Despite this move, she remains an ardent fan of her hometown Premier League football club Tottenham Hotspur. Two years later, she and her mother moved back to London; first to Brixton, and then to neighbouring district West Norwood, in south London. West Norwood is the subject for Adele's first record, "Hometown Glory", written when she was 16. After moving to south London, she became interested in R&B artists such as Aaliyah, Destiny's Child and Mary J. Blige. Adele says that one of the most defining moments in her life was when she watched Pink perform at Brixton Academy. "It was the Missundaztood record, so I was about 13 or 14. I had never heard, being in the room, someone sing like that live ... I remember sort of feeling like I was in a wind tunnel, her voice just hitting me. It was incredible." Aged 14, Adele discovered Etta James and Ella Fitzgerald by accident as she stumbled on the artists' CDs in the jazz section of her local music store and was struck by their appearance on the album covers. Adele states she "started listening to Etta James every night for an hour", and in the process was getting "to know my own voice." Adele graduated from the BRIT School for Performing Arts & Technology in Croydon in May 2006, where she was a classmate of Leona Lewis and Jessie J. Adele credits the school with nurturing her talent even though at the time she was more interested in going into A&R and hoped to launch other people's careers. Career: 2006-08: Career beginnings: Four months after graduation, she published two songs on the fourth issue of the online arts publication PlatformsMagazine.com. She had recorded a three-song demo for a class project and gave it to a friend who posted it on Myspace where it became very successful and led to a phone call from music label XL Recordings. She doubted if the offer was real because the only record company she knew was Virgin Records, and she took a friend with her to the meeting. Nick Huggett at XL recommended Adkins to manager Jonathan Dickins at September Management and in June 2006 Dickins became her official representative. September was managing Jamie T at the time and this proved a major draw for Adele, a big fan of the British singer-songwriter. Huggett then signed Adele to XL in September 2006. Adele provided vocals for Jack Peñate's song, "My Yvonne", for his debut album, and it was during this session she first met producer Jim Abbiss, who would go on to produce the majority of her debut album 19, and tracks on 21. Adele's breakthrough song, "Hometown Glory", was released in October 2007. Adele supported Will Young at the 2007 MENCAP Little Noise Sessions, a charity concert at London's Union Chapel. In 2008 she was the headliner and performed an acoustic set and was supported by Damien Rice. She became the first recipient of the BRIT Awards Critics' Choice and was named the number-one predicted breakthrough act of 2008 in an annual BBC poll of music critics, Sound of 2008. 2008-10: 19 and commercial success: 19, named for her age at the time she wrote many of its songs, entered the British charts at number one. The Times Encyclopedia of Modern Music named 19 an "essential" blue-eyed soul recording. She released her second single "Chasing Pavements" on 14 January 2008, two weeks ahead of her debut album, 19. The song reached number two on the UK Chart, and stayed there for four weeks. Adele was nominated for a 2008 Mercury Prize award for 19. She also won an Urban Music Award for "Best Jazz Act". She also received a Q Awards nomination in the category of Breakthrough Act and a Music of Black Origin nomination in the category of Best UK Female. In March 2008, Adele signed a deal with Columbia Records and XL Recordings for her foray into the US. 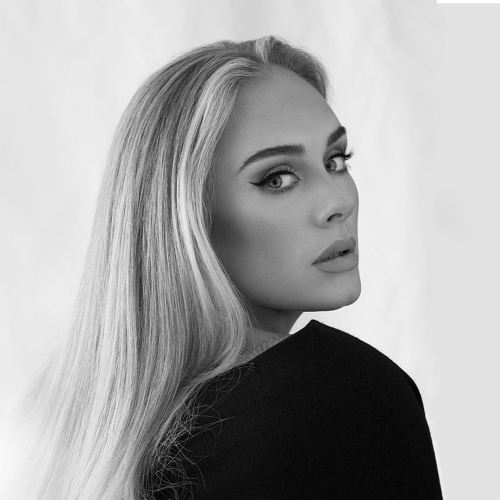 She embarked on a short North American tour in the same month.19 was released in the US in June.Billboard magazine stated; "Adele truly has potential to become among the most respected and inspiring international artists of her generation." The An Evening with Adele world tour began in May 2008 and ended in June 2009. She later cancelled the 2008 US tour dates to be with a former boyfriend. She said in Nylon magazine in June 2009, "I was drinking far too much and that was kind of the basis of my relationship with this boy. I couldn't bear to be without him, so I was like, 'Well, OK, I'll just cancel my stuff then... I can't believe I did that... It seems so ungrateful". By the middle of October 2008, it appeared that Adele's attempt to break into America had failed. Then, she was the musical guest on 18 October 2008 episode of Saturday Night Live. The episode included an expected appearance by then US vice-presidential candidate Sarah Palin. The program earned its best ratings in 14 years with 17 million viewers. Adele performed "Chasing Pavements" and "Cold Shoulder", and the following day, 19 topped the iTunes charts and ranked at number five at Amazon.com while "Chasing Pavements" rose into the top 25. The album reached number 11 on the Billboard 200 as a result, a jump of 35 places over the previous week. In November 2008 Adele moved to Notting Hill after leaving her mother's house, a move that prompted her to give up drinking. The album was certified as gold in February 2009 by the Recording Industry Association of America. By July 2009, the album had sold 2.2 million copies worldwide. 2010-12: 21 and greater success: In 2010, Adele received a Grammy nomination for Best Female Pop Vocal Performance for "Hometown Glory". In April her song "My Same" entered the German Singles Chart after it had been performed by Lena Meyer-Landrut in the talent show contest Unser Star für Oslo (Our Star for Oslo), in which the German entry to the Eurovision Song Contest 2010 was determined. In late September, after being featured on The X Factor, Adele's version of Bob Dylan's "Make You Feel My Love" re-entered the UK singles chart at number 4. During the 2010 CMT Artists of the Year special, Adele performed a widely publicised duet of Lady Antebellum's "Need You Now" with Darius Rucker. This performance was later nominated for a CMT Music Award. Adele released her second studio album, 21, on 24 January 2011 in the UK and 22 February in the US. She said that the album was inspired by the breakup with her former partner. The album's sound is described as classic and contemporary country and roots music. The change in sound from her first album was the result of her bus driver playing contemporary music from Nashville when she was touring the American South, and the title reflected the growth she had experienced in the prior two years. Adele told Spin Magazine "It was really exciting for me because I never grew up around that music. "21 hit number 1 in more than 26 countries, including the UK and the US. An emotional performance of "Someone Like You" at the 2011 BRIT Awards on 15 February propelled the song to number one in the UK. Her first album, 19, re-entered the UK album chart alongside 21, while first and second singles "Rolling in the Deep" and "Someone Like You" were in the top 5 of the UK singles chart, making Adele the first living artist to achieve the feat of two top-five hits in both the Official Singles Chart and the Official Albums Chart simultaneously since the Beatles in 1964. Both songs topped the charts in multiple markets and broke numerous sales performance records. In May 2011, Adele caused some minor controversy with critical statements about high taxes. Following her performance of "Someone Like You" at the 2011 MTV Video Music Awards, it became Adele's second number-one single on the Billboard Hot 100. By December 2011, 21 sold over 3.4 million copies in the UK, and became the biggest-selling album of the 21st century, overtaking Amy Winehouse's Back to Black, with Adele becoming the first artist ever to sell three million albums in the UK in one calendar year. "Set Fire to the Rain" became Adele's third number one single on the Billboard Hot 100, as Adele became the first artist ever to have an album, 21, hold the number-one position on the Billboard 200 concurrently with three number one singles. To promote the album, Adele embarked upon the "Adele Live" tour, which sold out its North American leg. In October 2011, Adele was forced to cancel two tours because of a vocal-cord haemorrhage. She released a statement saying she needed an extended period of rest in order to avoid permanent damage to her voice. The singer underwent laser microsurgery at Massachusetts General Hospital in Boston during the first week of November. A recording of her tour, Live at the Royal Albert Hall was released in November 2011, debuting at number one in the US with 96,000 copies sold, the highest one-week tally for a music DVD in four years, becoming the best-selling music DVD of 2011. Adele is the first artist in Nielsen SoundScan history to have the year's number-one album (21), number-one single ("Rolling in the Deep"), and number-one music video. At the 2011 American Music Awards on 20 November, Adele won three awards; Favorite Pop/Rock Female Artist, Favorite Adult Contemporary Artist, and Favorite Pop/Rock Album for 21. On 9 December, Billboard named Adele artist of the year, Billboard 200 Album of the year (21), and the Billboard Hot 100 Song of the year ("Rolling in the Deep"), becoming the first female ever to top all three categories. Following the throat microsurgery, she made her live comeback at the 2012 Grammy Awards in February. She won in all six categories for which she was nominated, making her the second female artist after Beyoncé Knowles in Grammy history to win that many categories in a single night. Following that success, 21 achieved the biggest weekly sales increase following a Grammy win since Nielsen SoundScan began tracking data in 1991. "We are thrilled to honor Adele with an RIAA Diamond award marking her enormous 21 sales success. Selling more than 10 million albums in the United States, in less than two years, is an achievement unparalleled by any other artist in the past decade, let alone just a few in all of history. Adele's unique talent is a gift to music fans, and her success is certainly cause for a celebration of Diamond magnitude." --Cary Sherman, Chairman & CEO, RIAA. Adele received the Brit Award for Best British Female Solo Artist, and British Album of the Year. Following the Brit Awards, 21 reached number 1 for the 21st non-consecutive week on the UK Album Chart. The album has sold over 4.5 million copies in the UK where it is the fourth best-selling album of all time. In October, the album passed the 4.5 million mark in the UK, and in November surpassed the 10 million mark in the US. Adele is the only artist or band in the last decade in the US to earn an RIAA Diamond certification for a one disc album in less than two years. On 3 April 2012, Adele confirmed that her third album would likely be at least two years away, stating, "I have to take time and live a little bit. There were a good two years between my first and second albums, so it'll be the same this time." She stated that she would continue writing her own material. 2012-present: Skyfall and third album: In October 2012, Adele confirmed that she had been writing and recording the theme song for Skyfall, the twenty-third James Bond film. The song "Skyfall", co-written with producer Paul Epworth, was recorded at Abbey Road Studios, and features orchestrations by J. A. C. Redford. Adele stated recording "Skyfall" was "one of the proudest moments of my life." On 14 October, "Skyfall" rose to number 2 on the UK Singles Chart with sales of 92,000 copies bringing its overall sales to 176,000, and "Skyfall" entered the Billboard Hot 100 at number 8, Adele's first song to debut in the Top 10, selling 261,000 copies in the United States in its first three days. This tied "Skyfall" with Duran Duran's "A View to a Kill" as the highest-charting James Bond theme song on the UK Singles Chart. "Skyfall" has sold more than two million copies worldwide. In December 2012, Adele was named Billboard Artist of the Year, and 21 was named Album of the Year, making her the first artist to receive both accolades two years in a row. Adele was also named top female artist. The Associated Press named Adele Entertainer of the Year for 2012. It was reported in January 2013 Adele was working on a new record, although she herself later acknowledged that she would work on the next album when she "has something to sing about." On 13 January 2013, Adele won the Golden Globe Award for Best Original Song for "Skyfall", and on 24 February, Adele performed the song at the 85th Academy Awards and won the Academy Award for Best Original Song. At the 2013 Grammy Awards on 10 February, Adele's live version of "Set Fire to the Rain" won the Grammy Award for Best Pop Solo Performance. Personal life: It was reported in January 2012 that Adele was dating charity entrepreneur and Old Etonian Simon Konecki. In June 2012, Adele announced that she and Konecki were expecting a baby. Adele gave birth to the couple's son on 19 October 2012. The child is the first for Adele and the second for Konecki, who also has a daughter with his ex-wife. Adele bought a flat in Notting Hill, London in 2008. In February 2012, Adele moved into a £7-million, ten-bedroom mansion in West Sussex with Konecki. Politically, Adele is a supporter of the Labour Party, stating "I'm a Labour girl through and through", despite in May 2011 having reportedly expressed views on taxation counter to those of the party. In April 2013 it was reported Adele had a £30 million fortune, £10 million of it made in the previous 12 months. Artistry: Adele's voice is categorised as contralto. Initially, critics suggested that her vocals were more developed and intriguing than her songwriting, a sentiment with which Adele agreed. Adele has stated: "I taught myself how to sing by listening to Ella Fitzgerald for acrobatics and scales, Etta James for passion and Roberta Flack for control." Adele's first album is of the soul genre, with lyrics describing heartbreak and relationship. Her success occurred simultaneously with several other British female soul singers, with the British press dubbing her a new Amy Winehouse. This was described as a third British Musical Invasion of the US. However, Adele called the comparisons between her and other female soul singers lazy, noting "we're a gender, not a genre". By the beginning of 2009, listeners and critics started to describe Adele as unique. AllMusic wrote that "Adele is simply too magical to compare her to anyone." Following the release of her debut album 19, Kanye West and Beyoncé Knowles were among the artists vocal in their praise of her music. Beyoncé cited Adele as one of the influences for her fourth album, 4.Madonna expressed a desire to collaborate with Adele, commenting; "I think she's brilliant, I love her".Celine Dion performed "Rolling in the Deep" at her show at the Colosseum at Caesars Palace, after telling the crowd, "I love Adele so much. She's amazing."J. J. Burnel of The Stranglers is also a fan, stating; "She had me riveted... Of course she's huge and normally that would turn me off because it's too commercial. But I was seriously impressed".Dave Grohl of Foo Fighters and Nirvana fame has repeatedly praised Adele in interviews. Former Guns N' Roses guitarist Slash stated; "She's great. She's a shot in the arm for this industry. She writes her own music that's not at all contrived. And she's managed to sell loads of records which makes her a great example to the younger artists." Influences: Adele has named P!nk as one of her biggest musical influences. Adele considers Pink's performance at Brixton Academy in London as one of "the most defining moments" in her life, saying "It was the Missundaztood record, so I was about 13 or 14. I had never heard, being in the room, someone sing like that live. I remember sort of feeling like I was in a wind tunnel, her voice just hitting me. It was incredible." Awards and accolades: Main article: http://en.wikipedia.org/wiki/List_of_awards_and_nominations_received_by_Adele At the 51st Grammy Awards in 2009, Adele won awards in the categories of Best New Artist and Best Female Pop Vocal Performance. She was also nominated in the categories of Record of the Year and Song of the Year. That same year, Adele was also nominated for three Brit Awards in the categories of Best British Female, Best British Single and Best British Breakthrough Act. Then British Prime Minister Gordon Brown sent a thank-you letter to Adele that stated "with the troubles that the country's in financially, you're a light at the end of the tunnel." With 21 non-consecutive weeks at number 1 in the US, Adele broke the record for the longest number-1 album by a woman in Billboard history, beating the record formerly held by Whitney Houston's soundtrack The Bodyguard.21 spent its 23rd week at number one in March 2012, making it the longest-running album at number one since 1985 and it became the fourth best-selling album of the past 10 years in the United States. In February 2012, Adele was listed at number five on VH1′s 100 Greatest Women In Music. In April 2012, American magazine Time named Adele one of the 100 most influential people in the world.People named her one of 2012 Most Beautiful at Every Age. On 30 April 2012, a tribute to Adele was held at New York City's (Le) Poisson Rouge called Broadway Sings Adele, starring various Broadway actors such as Matt Doyle. In July 2012, Adele was listed at number six in Forbes list of the world's highest-paid celebrities under the age of 30 having earned £23 million ($35 million) between May 2011 and May 2012. On the week ending 3 March 2012, Adele became the first solo female artist to have three singles in the top 10 of the Billboard Hot 100 at the same time, and the first female artist to have two albums in the top 5 of the Billboard 200 and two singles in the top 5 of the Billboard Hot 100 simultaneously. Adele topped the 2012 Sunday Times Rich List of musicians in the UK under 30 and made the Top 10 of Billboard magazine's "Top 40 Money Makers".Billboard also announced the same day that Adele's "Rolling in the Deep" is the biggest crossover hit of the past 25 years, topping pop, adult pop and adult contemporary charts and that Adele is one of four female artists to have an album chart at number one for more than 13 weeks (the other three artists being Judy Garland, Carole King, and Whitney Houston). On 6 March, 21 reached 30 non-consecutive weeks at number one on the Australian ARIA Chart, making it the longest-running number one album in Australia in the 21st century, and the second longest-running number one ever. At the 2012 Ivor Novello Awards in May, Adele was named Songwriter of the Year, and "Rolling in the Deep" won the award for Most Performed Work of 2011. At the 2012 BMI Awards held in London in October, Adele won Song of the Year (for "Rolling in the Deep") in recognition of the song being the most played on US television and radio in 2011. In 2013, Adele won the Academy Award for Best Original Song for the James Bond theme "Skyfall". This is the first James Bond song to win and only the fifth to be nominated (after "For Your Eyes Only" (1981), "Nobody Does It Better" (1977) (from The Spy Who Loved Me), "Live and Let Die" (1973), and "The Look of Love" (1967) (from the original Casino Royale)). "Skyfall" won the Brit Award for Best British Single at the 2013 BRIT Awards. In February 2013 she was assessed as one of the 100 most powerful women in the United Kingdom by Woman's Hour on BBC Radio 4. Charitable work: In July 2009 she paid £8,000 for a commissioned painting by Stella Vine in a charity auction in aid of Keep a Child Alive, a charity which helps African children and their families living with HIV/AIDS. Adele said she planned to ask Vine to paint a portrait of "my mum and me". Adele has performed in numerous charity concerts throughout her career. In July and November 2008, Adele performed at the Keep a Child Alive Black Ball in London and New York City respectively. On 17 September 2009, Adele performed at the Brooklyn Academy of Music, for the VH1 Divas event, a concert to raise money for the Save The Music Foundation charity. On 6 December, Adele opened with a 40-minute set at John Mayer's 2nd Annual Holiday Charity Revue held at the Nokia Theatre in Los Angeles, California. In 2011, Adele gave a free concert for Pride London, a registered charity which arranges LGBT events in London. Adele has been a major contributor to MusiCares, a charity organization founded by the Grammys for musicians in need. In February 2009, Adele performed at the 2009 MusiCares charity concert in Los Angeles. In 2011 and 2012, Adele donated autographed items for auctions to support MusiCares. When on tour, Adele requires all backstage visitors to donate a minimum charitable contribution of $20 for the UK charity Sands (an organization dedicated to "supporting anyone affected by the death of a baby and promoting research to reduce the loss of babies' lives."). During the UK and European leg of her Adele Live tour, Adele collected $13,000 for the charity.